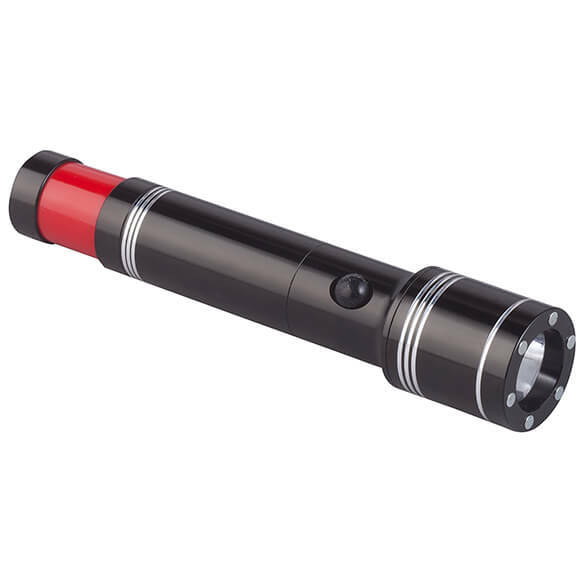 Keeping you safe from all directions, this Multi-Directional Flashlight by LivingSURE™ features a powerful front-facing CREE XPE bulb that illuminates your path with 180 lumens of light, while a rear-facing flasher keeps you visible to oncoming traffic with 80 lumens of red warning light. 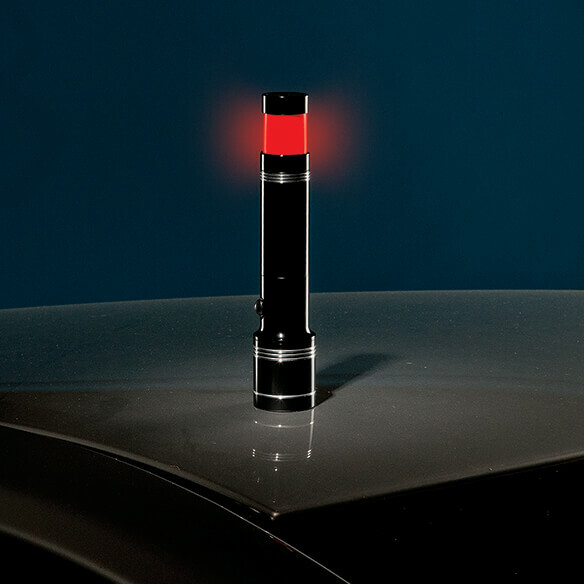 It enhances your visibility when walking alone or with pets at night, and providing extra help in emergencies, its magnetic head lets you stand it up on vehicle, bicycle or motorcycle to signal your need for help. 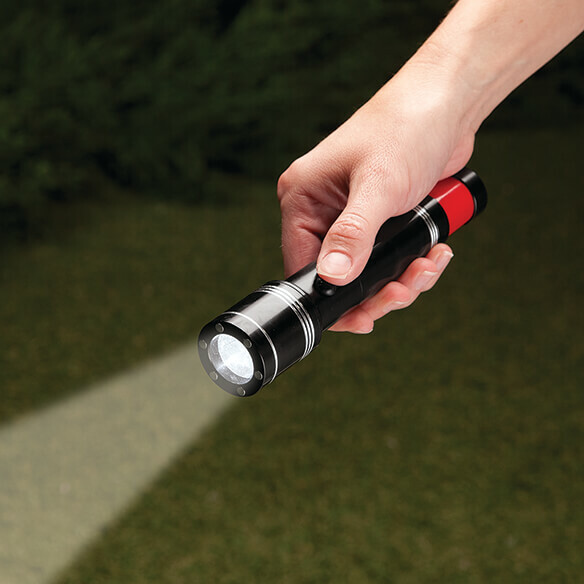 This slender, compact emergency flashlight fits easily into pocket, purse or auto glovebox. 3 safety modes: steady front beam, flashing rear safety indicator, front flashing mode. LED flashlight uses 3 AAA batteries (not included). Needed a small flashlight and this was a good price.